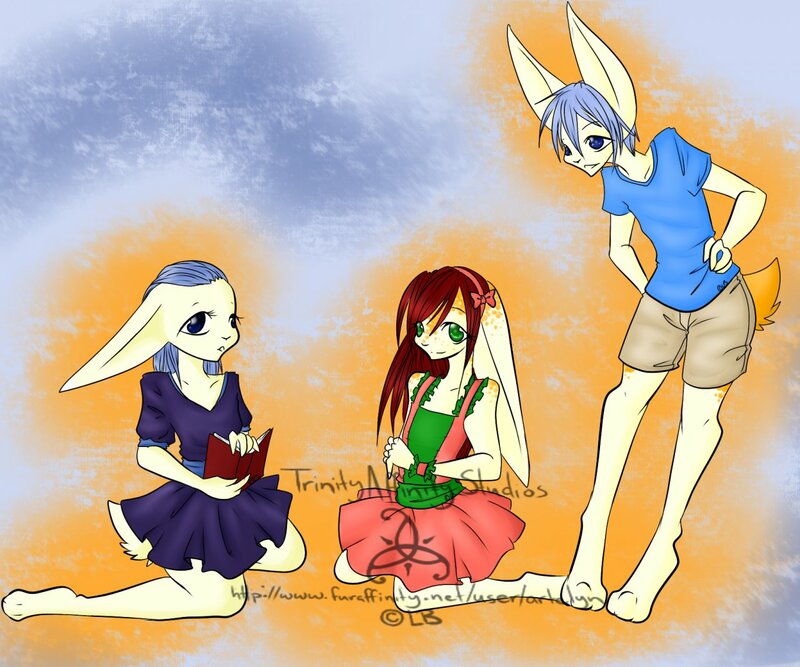 artelyn did a pic of ivanbunny and I's children. They came to me in a dream one night and I've had several dreams of them since. They are from left to right, Fiona, Sarah and Justin. Didn't we work out that one of these is "ours" some many months ago or something? Im pretty sure I remember like a 2 hour long conversation about that. Aawwwww fail ;.; . let's just say one is for lack of better judgement ^.^ ~<3.